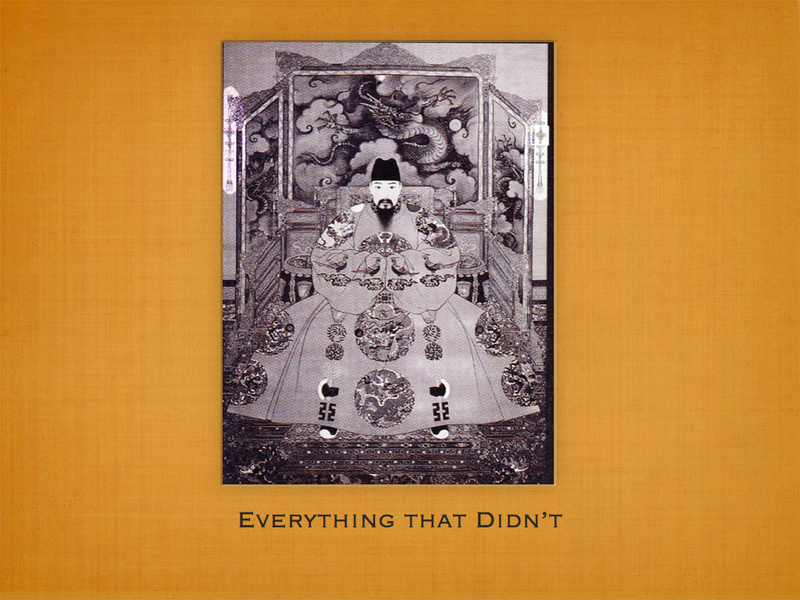 Annotation: Scanned from Lydia Chen's Chinese Knotting 3, the image is one of the imperial throne room with the gilded furniture further decorated with knotted tassels. The picture is a little grainy and low contrast, so I highlighted the knots. 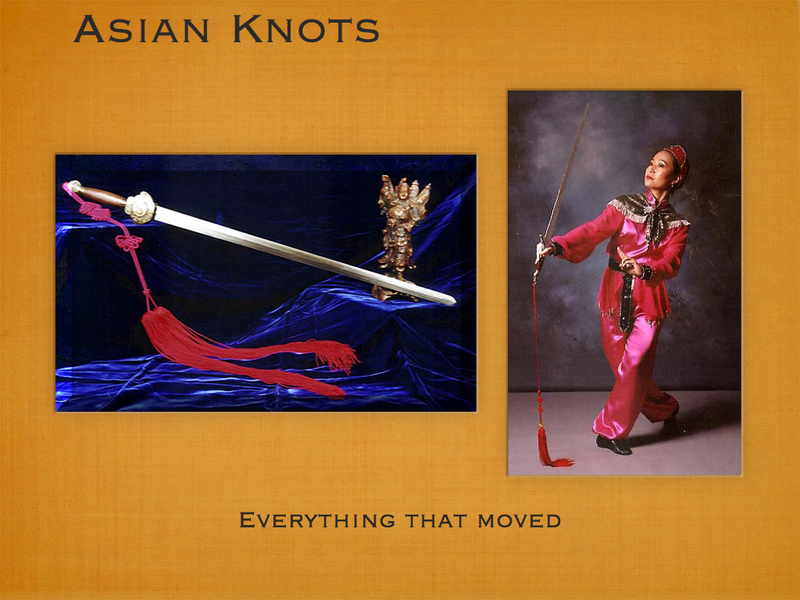 Notes: In China they put knotted tassels on every thing that moved. Weapons, fans, the scholar’s scepter, and musical instruments were often decorated thusly. 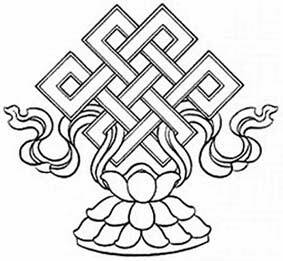 Notes: The Pan Chang knot (also known as the Endless knot or the Mystic knot) is one of the eight buddhist treasures. It represents the endless cycle of life, the infinite wisdom of Buddha, the duality (yin and yang) of existence, and is also a symbol of balance and harmony. An Instructable for how to condition and dye hemp rope. Better (?) they list a rope source that I had not heard of before. It's interesting that there's a disclaimer at the beginning about using your rope safely, but nothing in the dyeing part that once you use your nice big pot for dyeing your rope, you should never use it for food again. 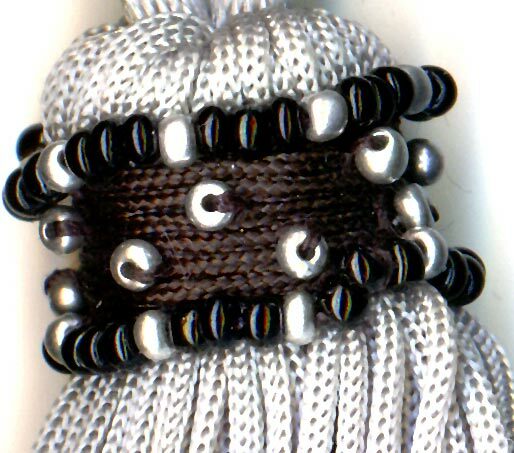 Frayed Knot has an index of how to/tutorials to which a variety of knot tyers have contributed. 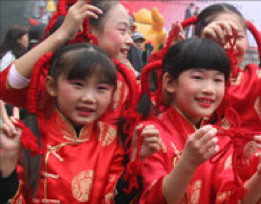 On March 29, 2009 at a blood drive in Malasia at the Tzu Chi Miri Liaison office, they are also doing a number of craft activities and demos including teaching Chinese knots. 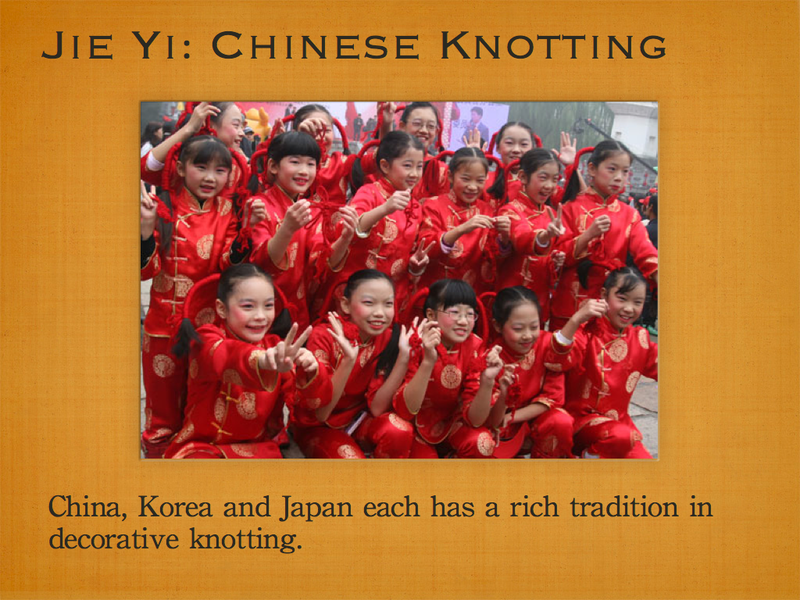 Notes: Cord braiding and silk knotting arrived with the Chinese Lolang colony in northwestern Korea in approximately 10 BCE. 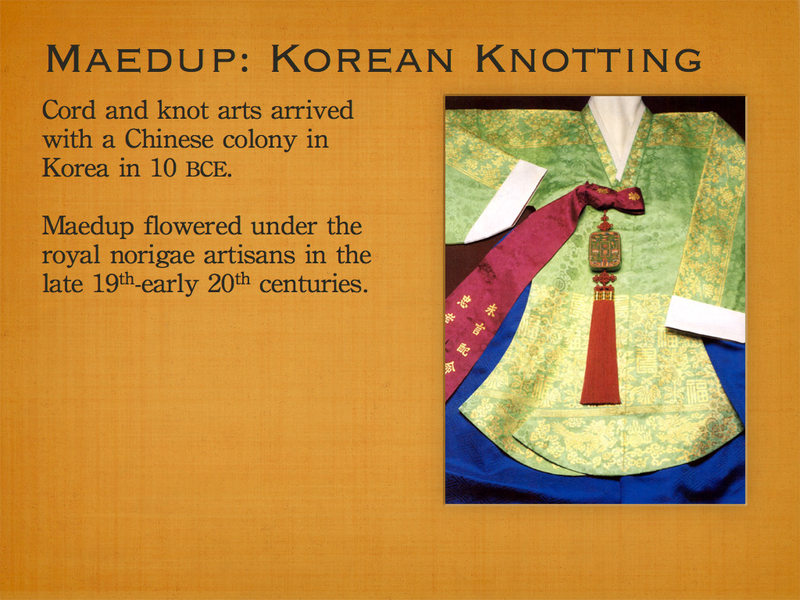 Integration of decorative knots as a part of traditional Korean dress seems to have happened during the Three Kingdoms period (57 BCE - 668 CE). 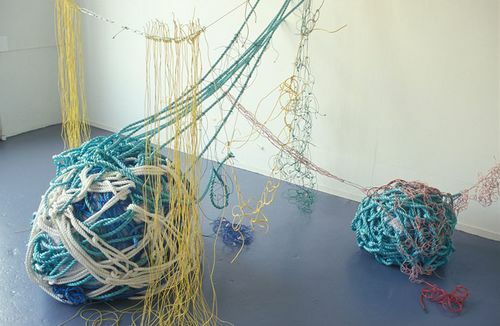 Decorative knotting evolved in the hands of fishermen and textile artisans in the general population until the late 19th-early 20th centuries when royal norigae artisans under pressure to create newer, different, better, and more did exactly that. Text: Cord and knot arts arrived with a Chinese colony in Korea in 10 BCE. Maedup flowered under the royal norigae artisans in the late 19th-early 20th centuries.